fun run will begin after the 5K is completed. This year's run to benefit The United MSD Foundation. Started by an Ocean Springs family to work towards a treatment for their terminially ill daughter, Willow Cannan. 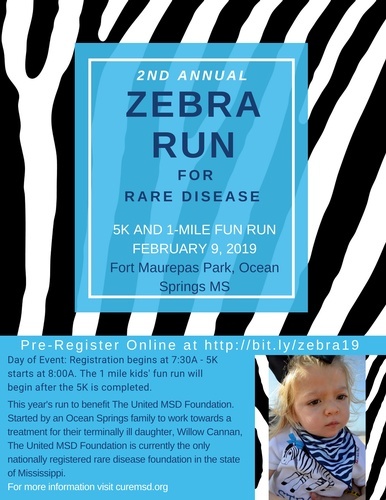 The United MSD Foundation is currently the only nationally registered rare disease foundation in the state of Mississippi.